Accidental Seeker :: Carrots, Eggs and Coffee – Which Are You? Carrot, Egg or Coffee: Which Are You? Her mother took her to the kitchen. She filled three pots with water and placed each on a high fire. Soon the pots came to boil. In the first she placed carrots, in the second she placed eggs and in the last she placed ground coffee beans. She let them sit and boil, without saying a word. The carrot went in strong, hard and unrelenting. However, after being subjected to the boiling water, it softened and became weak. The egg had been fragile. Its thin outer shell had protected its liquid interior, but after sitting through the boiling water, its insides became hardened. Are you the carrot that seems strong, but with pain and adversity do you wilt and lose your strength? Or are you the egg that starts with a malleable heart, but changes with heat? Did you have a fluid spirit, but after a death, breakup, financial hardship or some other trial, have you become rigid and stiff? Does your shell look the same, but on the inside are you bitter and tough, disconnected from spirit with a hardened heart? Or are you like the coffee bean? The bean actually transforms the hot water, the very circumstance that brings it pain. When the water gets hot, the coffee releases its fragrance and flavor. 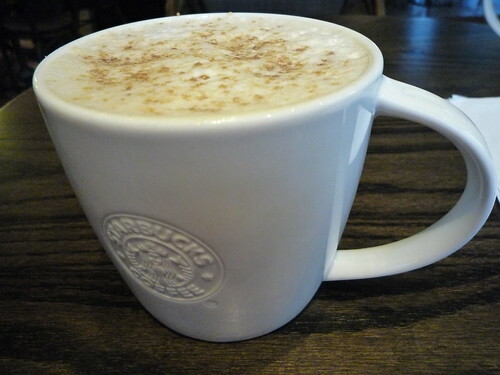 If you are like the coffee bean, when things are at their worst, you get better and change the situation around you. When the hour is darkest and challenges are their greatest, do you elevate yourself to another level? How do you handle adversity? Are you a carrot, an egg or a coffee bean? You may have started as a carrot or egg, but the beauty of life is you can consciously choose who to be. Here’s hoping you choose to be coffee. The happiest of people don’t necessarily have the best of everything; they just make the best of everything that comes their way. Need a little help figuring out how they do it? 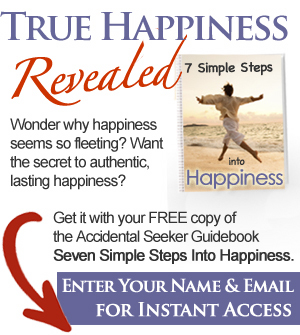 Download the Accidental Seeker Seven Simple Steps Into Happiness free guidebook. Just sign-up at right for instant access and please, tell me how it works for you, okay? I’m 30 percent egg, 70 percent coffee. Love this place!